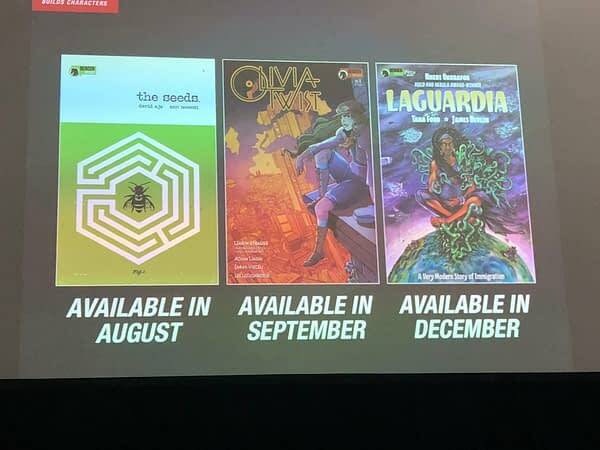 At the Diamond Retailer Appreciation Lunch at San Diego Comic-Con, Dark Horse has been showing off their titles from the Berger Books line from Karen Berger, including the new La Guardia for December by Nnedi Okorafor and Tana Ford to tell the story of LaGuardia International and Interstellar Airport, reteaming after their work on Black Panther: Rise of a Nation. 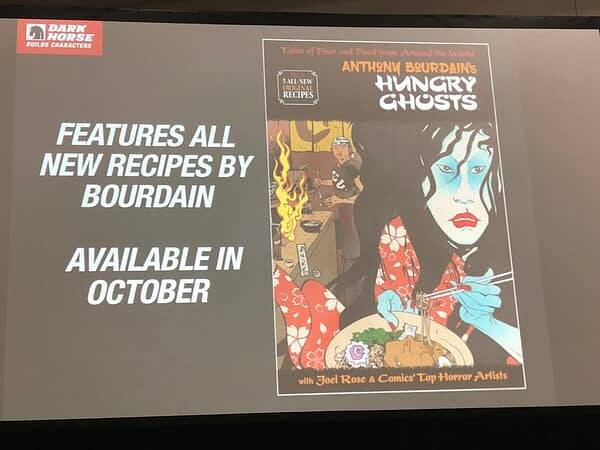 They also underlined a possible new appeal for Anthony Bourdain‘s Hungry Ghosts after his sad passing — and how the collection will feature five new recipes of his. And you can follow other reports from the Retailer Appreciation Lunch right here.